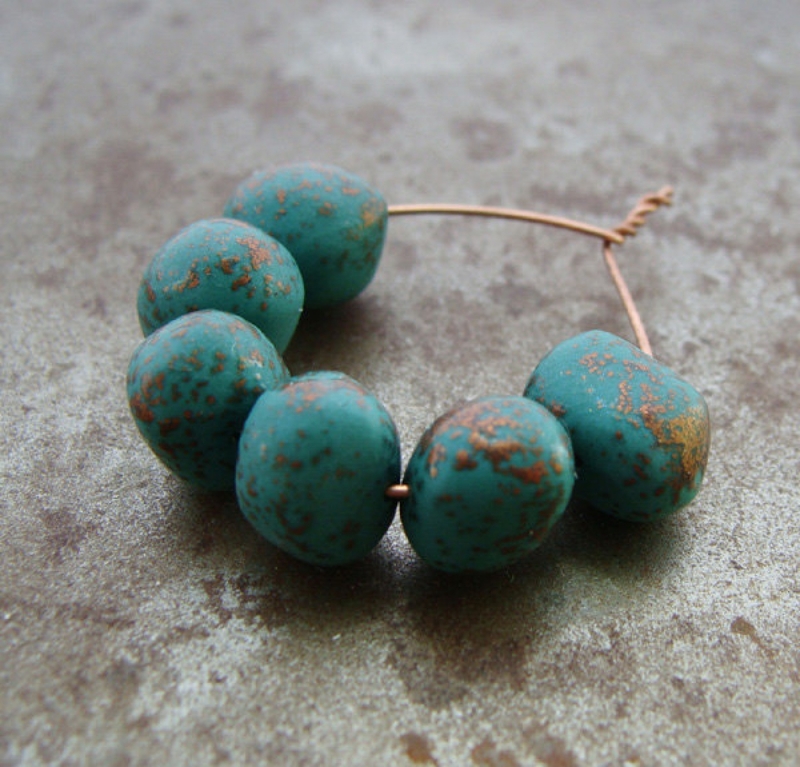 These little wobbles have became quite popular - add them wherever you want a little punch of color! They were formed into a funky bean organic shape that will be fun to use in your creative designs. This set has been given a speckled copper treatment. 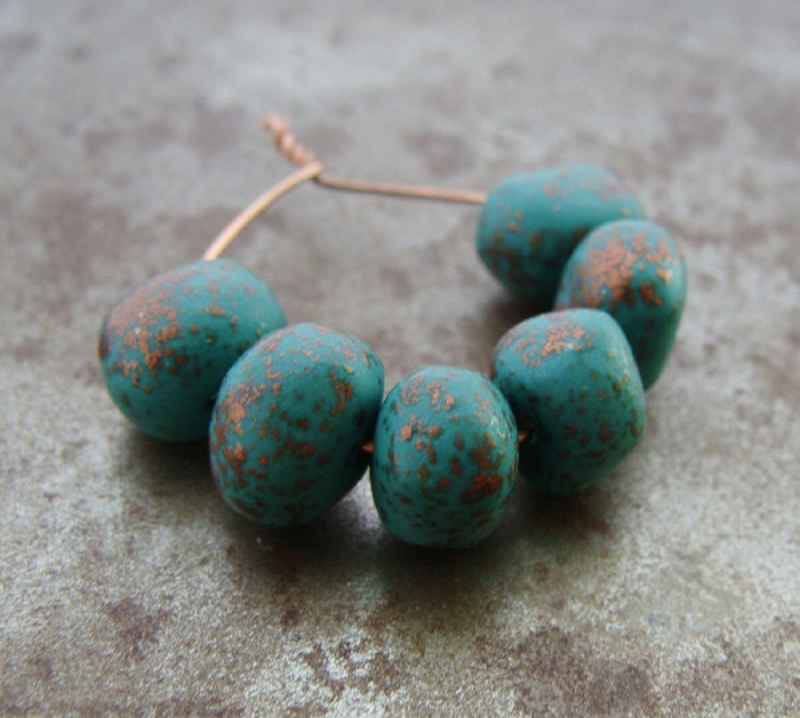 If you like playful beads - these are calling your name! 5-7mm x 8-11mm, varying in size with holes the size of a standard headpin. 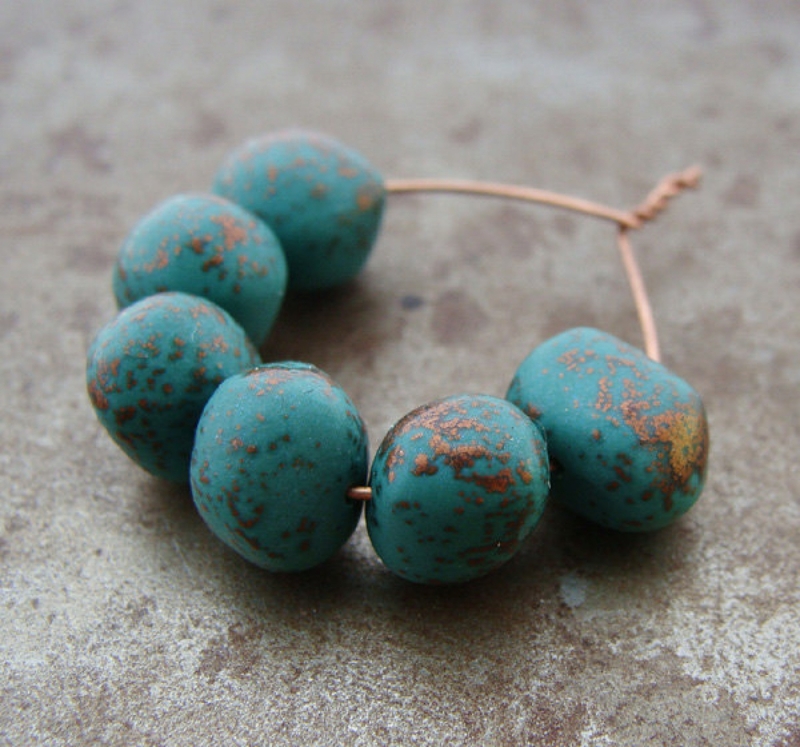 This set contains 6 beads.